Have I caught your attention yet? I hope so because this IS important. Getting the substrate right first time round will really save you a whole heap of hassle and stress, but it does mean you have to be organised. The reason for this is that the substrate has to be the first thing you put in your tank (and always before water). But I’m not talking about any old substrate, I’m talking about Colombo Flora-Base. 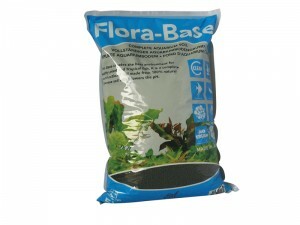 It sets your parameters to be exactly what your plants need. It drops your KH, GH and pH so that your plants love the conditions it provides. You don’t need to do anything else to the water. It doesn’t need topping which means no other gravels or substrates are needed – so it’s 100% ready to go. It grows your plants AMAZINGLY well. Better than any other substrate I have used. This is the number 1 substrate I recommend for all customers and if you want to get the best from your plants then this is the choice for you. Available in 3 different sizes and 2 colours, black and brown. This is seriously BEAUTIFUL rock that is pure joy. Some hobbyists think it’s the best thing since sliced bread…some call it Manten Stone. We call it Baltic Rock. As soon as you pick it up you will know just what I mean and I want to take you on a quick mental journey. Imagine buying this rock and it arriving at your door. You bring the well packaged box inside and place it on your table, undo the tape and look inside. You take the catalogue out and put it to one side and then pick out the first piece of that your eye is drawn to. The texture is rough, but not sharp. Rough from years of being outside and weathered. Then you bring it up to your nose and smell it. It has a distinctive smell, not nasty, just different but hard to pin down. You suddenly notice the weight – it’s really dense and has an immediate feeling of quality. You’re excited about the possibilities of working with this rock. Now you know you’ve definitely made the right decision and the fun begins when you start placing the rock into your aquarium, standing back then deciding if your placement is right or you need to give it more time before the positioning ‘sits well’ with you. Everyone is always impressed by large tanks and for good reason too. The sheer size, the amount of water in the tanks, the fish and hopefully the quality of the hardscape. ADG always (always) nail their tanks and for me they are global leaders. Ever since I knew them back in the day they have always nailed it and I LOVE sharing their tanks. They inspire me, even after all these years and I’ve seen a lot of tanks. For some reason the hardscape only tanks really float my boat. I think it’s just the calmness of them which does it. Much as I love plants, there’s just something about these sort of tanks that is hard to ignore. Sit back and watch true pros in action. I’m really excited to be writing this blog because we’ve got a new supplier of tissue plants which the quality is superb. We’ve seen them before as we had to trial before be made a bigger commitment. This is of course essential for quality control – it would make no sense if we took a punt on plants without even testing them first. The new brand comes from Europe and has the exact same size as Tropica and Aquafleur, so no change there. The 7cm diameter pot (I think that’s what size it is) seems to be a global standard. So all good there. But…there’s more. They are also offering XL plants which are larger pots, and these are about 12cm in diameter which is SUPER exciting. Price wise, the smaller pots are £3.99 and the larger pots, well not sure yet as we want to see what sells best from the smaller size. As soon as we know what’s moving, we’ll get the XL pots in. So keep a look out on the website as we’ll be updating there on Friday. And remember these plants ship the best so if you are from overseas, there should be few problems and they should (but we can’t guarantee this) arrive in great condition. They couldn’t be healthier when they leave us so it’s really down to your postal system in your country. 1) It looks lovely. The colours and shades are what makes it so unusual. The brown hues provide instant calmness and impact. 2) The holes/crevaces, call them what you like. I mean, who has ever seen holes in rocks before? I haven’t especially on this level of consistency. Again another unique feature of Dragon Stone and what separates it from all other rocks available. 3) Ease of aquascaping. 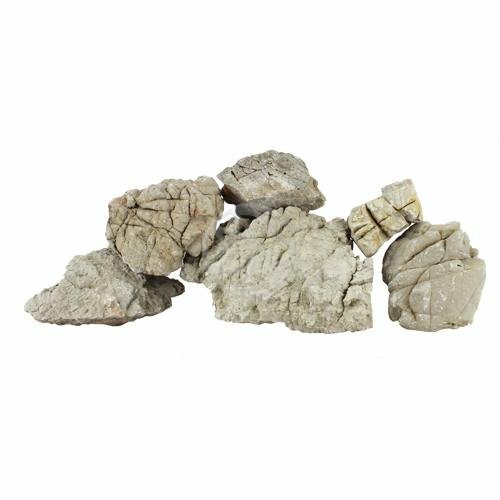 The varied sizes available (especially at this moment in time) means you can create a terrific aquascape in no time with little experience, as long as you choose enough. Don’t fall into the trap of buying a few kgs and expecting a miracle. It doesn’t work like that. When pros aquascape they normally choose from a few hundred kgs. I’m not suggesting for a minute you need this much (on the contrary) but 2 or 3 kgs rarely cuts the mustard. Aim for 10kgs and up. We’re making things even easier for you on the plant pages. We’re often asked which plants are suitable and what would we advise? So by introducing plant symbols makes it really easy for you in deciding if a certain plant you like is right. Breaking it down into Apprentice, Skilled and Master – so what level are you? Apprentice is as you might expect is geared towards new hobbyists – we have categorised these plants that even your Grandma could grow. Skilled – Suitable for enthusiastic newcomers or better still if you’ve had a planted tank for a few months and want to try something a bit more advanced (yet not too tricky). Master – Suitable for CO2 infused tanks where you have plenty of experience, lots of lighting, good water circulation and lots of water changes. All you have to decide is which category you belong to and choose plants to suit.